So simple! 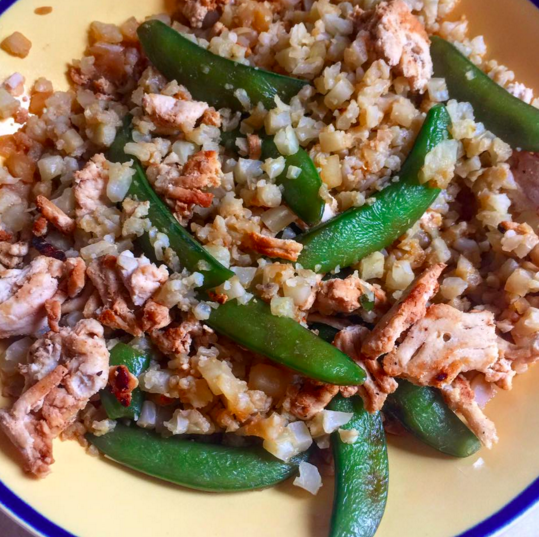 It’s just snap peas, lean ground chicken, cauliflower rice, and coconut aminos! 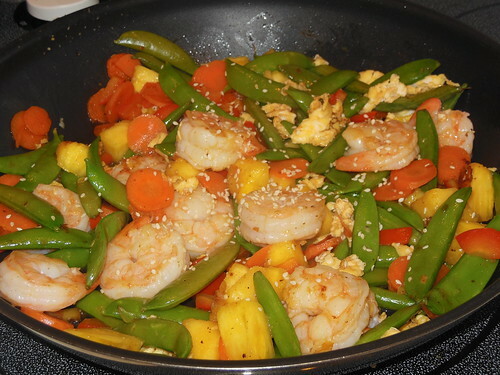 This entry was posted in Nutrition, Recipes and tagged gluten free, healthy recipe, stir fry on June 1, 2016 by danielle. Every once in a while in the winter I need a little reminder that summer is not too far gone. That someday soon it will be warm and sunny again there will be zero snow in sight. I know I have months to go until this actually happens but that doesn’t mean I can’t pretend. 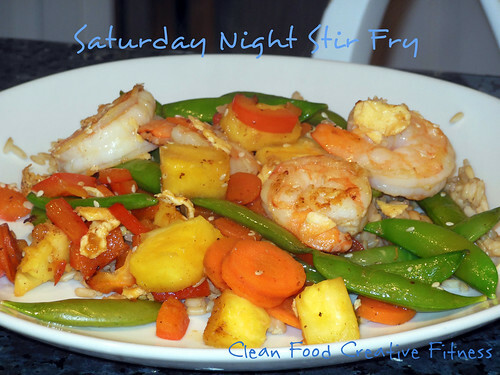 This stir fry reminds me of summer while still giving me that warm comforting feeling I crave from my fall meals. The addition of mango and coconut makes me feel like I’m in Hawaii even though I’m eating this in cold snowy Boston! 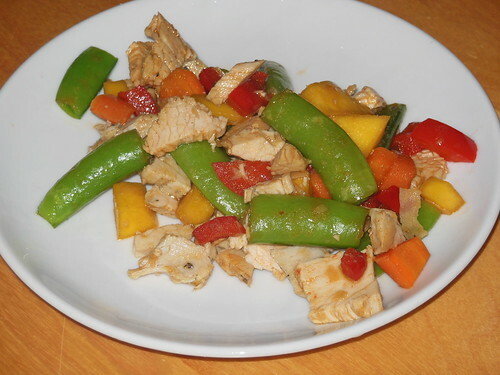 Chop up all of your vegetables into small pieces as well as your protein if necessary. Warm a large skillet with 1 tbs. coconut oil. If cooking raw meat saute your meat first, if not skip this step. 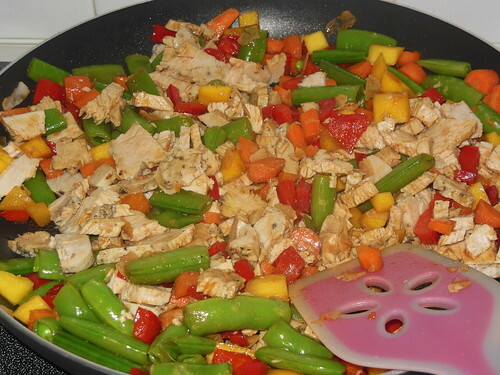 Add your veggies to the skillet and saute until tender. Add in the coconut flakes, precooked protein of choice, and drizzle with coconut aminos. Continue to saute until everything is hot. 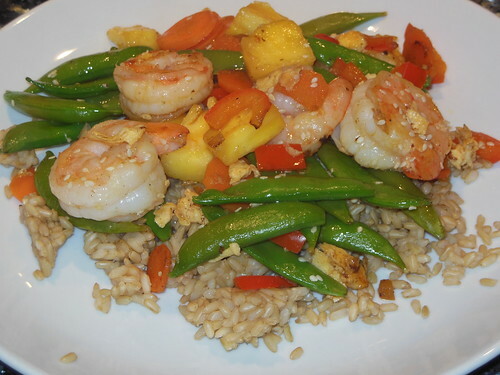 I ate mine as is but you can serve with brown rice, quinoa, or cauliflower “rice”. What do you miss most about the summer during the winter months??? 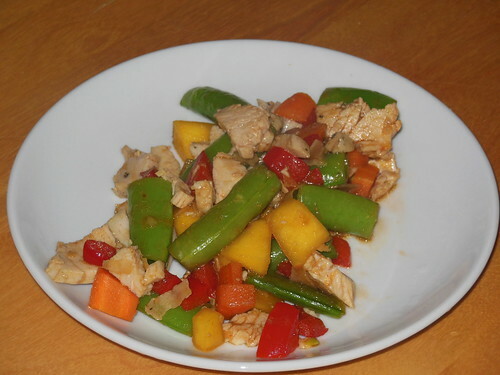 This entry was posted in Recipes and tagged Bell pepper, Boston, Chicken, coconut, Hawaii, Sautéing, stir fry, trader joes on December 21, 2012 by danielle.